Located in Cobleskill, New York, Cobleskill Chrysler Dodge Jeep Ram is a full-service Dodge dealership with a wide array of Dodge lease opportunities available for Cobleskill drivers. If you want to take your driving experience to the next level, but the commitment of a full purchase is giving you second thoughts, a Dodge lease may be just what you need. With lower monthly payments, a smaller down payment, and more predictable maintenance-related costs, an auto lease can be an excellent option for people who have limited cash flow. A Dodge lease can be particularly beneficial for those drivers who tend to log fewer miles than most and are careful with their vehicle. If you'll be driving the car for business, you can also take advantage of significant tax deductions. Want to find out if a Dodge lease is right for you? Call or visit our Dodge dealership in Cobleskill, NY! With a Dodge lease from Cobleskill Chrysler Dodge Jeep Ram, you have a wide variety of stunning vehicles to choose from. 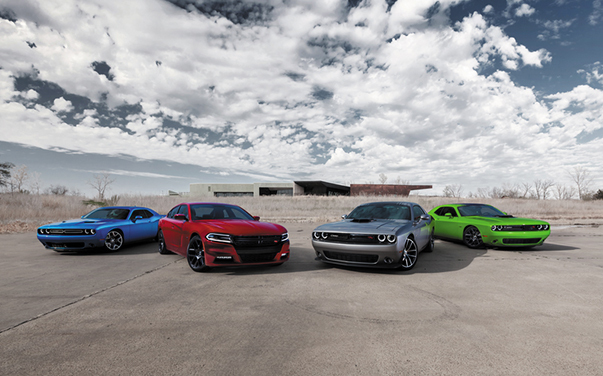 Whether you're interested in the exhilarating Dodge Charger, the bold Dodge Challenger, the family-friendly Dodge Grand Caravan, or the brawny Dodge Durango, our lineup is sure to meet the needs of your lifestyle and budget. Next time you're cruising down I-88, it could be in a brand-new Dodge vehicle; get started today by giving us a call or visiting our Cobleskill, NY Dodge dealership in person! For those who are worried about finances, the auto finance center at Cobleskill Chrysler Dodge Jeep Ram has your back. Our auto finance center is committed to helping you overcome budget barriers to find a way to drive your ideal vehicle in an affordable manner. Whether you're on top of your credit score or are actively avoiding to look at it, we'll work together to find the optimal financing solution for your unique situation. Through our website, you can get a jump on the auto finance process by estimating your monthly payments, valuing your trade-in, browsing Dodge financing specials, and applying for pre-approval. If you have any questions along the way, don't hesitate to give us a ring or stop by in person at our Dodge dealership in Cobleskill, NY!